Will implement the Socio-Economic Development Programme, Zoramthanga said. 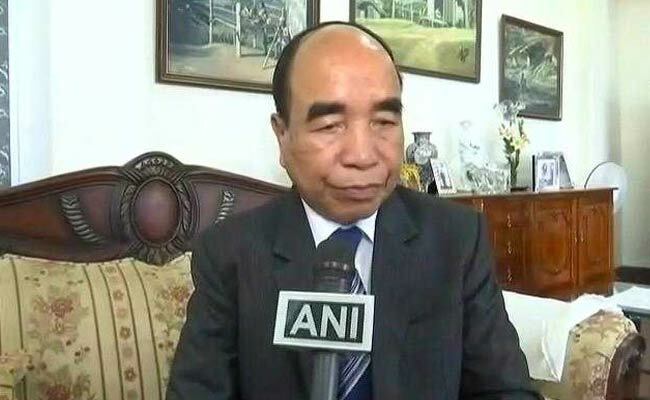 After leading the Mizo National Front (MNF) to power in Mizoram, chief minister-designate Zoramthanga today said he would impose total prohibition in the state as promised by his party. Total prohibition was imposed in this highly-literate and Christian-majority state since February 20, 1997 by the then Congress government. However, it was lifted in early 2015 by enforcing the Mizoram Liquor Prohibition and Control Act, 2014. Following this, wine shops were opened in the state from March 16, 2015. The BJP had taken a middle path by proposing to ban the liquor coming from outside the state and encourage only locally produced ones.